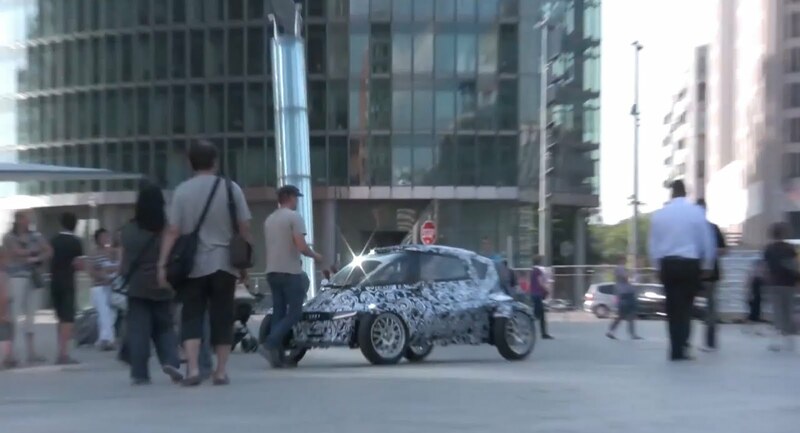 Following numerous spy pictures in of a mysterious Audi urban vehicle in Potsdamer Platz, Berlin, Germany, Audi has released some sketches of an upcoming city mobility vehicle. The 1+1 Urban Concept sits on a central carbon fibre monocoque and boasts 21” wheels, which are housed by cycle flaps. 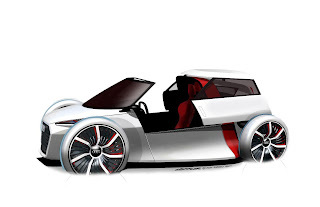 It brings contemporary design, construction, packaging to the ultra-light car qaudricycle segment. Entrance into the cabin is via a jet fighter-styled canopy that coasts backwards. Once inside, the interior is built from high-quality materials, including carbon fibre and aluminium. Power comes from a pair of electric motors and a lithium ion battery. Audi is once again exploring new horizons with the Audi urban concept, a 1+1-seat, ultra-light car for congested urban spaces. The technical study confounds conventional car categories – the Audi urban concept combines elements of a racing car, a roadster, a fun car and an urban car into one radical new concept. The Audi urban concept car is not descended from any previous model – its development is based on the strict principles of lightweight construction, efficiency and reduction. 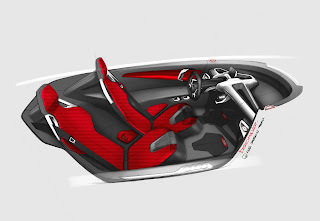 The result is a concept car with no unnecessary weight, and one that concentrates on the pure essence of dynamic motion. The stunning new concept has a sleek body. 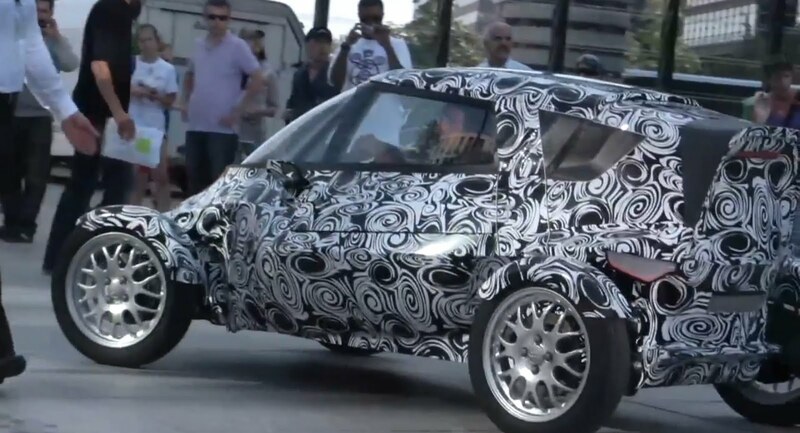 The wheels are free-standing, and the surrounding protective plates feature ‘blinking’ strips of LED lights. The highly-concentrated look of the technical study, with its forward-urging lines, is dynamic and emotional, and lends a completely new impetus to the Audi design language. There is room for two people on board, their position slightly staggered and at a sporty, low level. All controls and materials are subject to the dictates of ultra-lightweight construction to ensure they convey a unique, sensory allure. 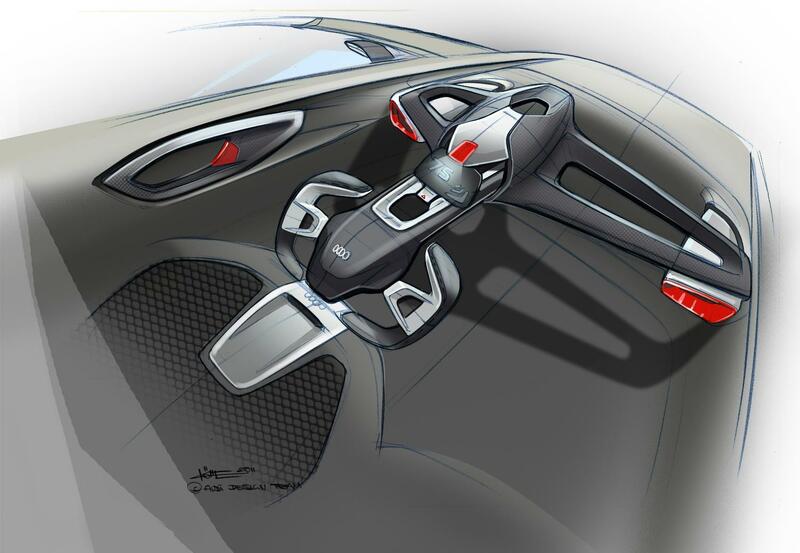 The driver can adjust the steering wheel and pedals for his or her own driving position. Entry to the car is through the tailgate, while the roof is designed to be manoeuvrable and slides to the rear to open. The Audi urban concept rides on 21-inch wheels. The technology in the Audi urban concept reflects the full capabilities of the brand, especially when it comes to ultra-lightweight construction. The cockpit consists of carbon fibre-reinforced polymer (CFRP), which integrates the undercarriage of both seats.